Are CBD Fitness Supplements Worth the Hype? 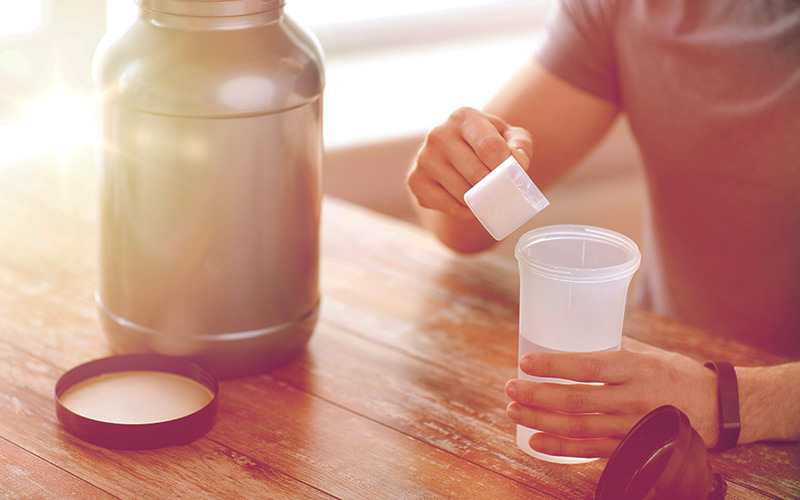 Whether you’re a gym rat or not, chances are you’re familiar with fitness supplements. Step into any health store and they have their own dedicated section, with every bottle, bag, or industrial-size tub promising to give you the body of your dreams (in half the time of the competition). While some of the “key ingredients” in these products have been around for years, recently a new one has taken center stage: CBD. It’s probably no surprise to you that the business of CBD is booming, and fitness brands are rushing to jump on the bandwagon. Whether you’re looking for a muscle-building hemp protein powder or just something to help you recover after a CrossFit workout, there’s a product out there made just for you. But all CBD fitness supplements aren’t created equal, and there are some important things to consider before you buy them. Here’s a quick guide to making sure you get the most for your money — and your workout. Cannabidiol (CBD) may be a newcomer to the fitness world, but it’s already made its way into a bewildering array of products. In addition to the aforementioned protein powders, you can also find CBD-infused capsules, topicals, and gummies (among others), all claiming to be specially-designed for athletes. As you might expect, these products are intended for different purposes. For example, many CBD-friendly athletes use softgel capsules in the same way they once used ibuprofen or paracetamol — i.e. as something to take the edge off post-workout pain. These types of supplements are touted as providing the same benefits as traditional medications without the risk of side effects, so it’s easy to see why they’ve become so popular. Topicals, too, can be easily compared to existing products (in this case, Bengay and its many imitators). Again, the principle is the same: apply a dab or two to the affected area, wait a bit, and relax as your muscle aches disappear with a pleasant tingle. Gummies and protein powders, on the other hand, bring something to the table that their non-CBD forebears do not: relief from inflammation and the ability to help you sleep (though not in the way you’d think). Both of these qualities make them useful for speeding up your recovery time, and it doesn’t hurt that the extra ingredients help hide the flavor of CBD itself, which is … an acquired taste. Do CBD fitness Supplements Work? Here’s where it gets complicated. On one hand, CBD has been proven to be a potent natural anti-inflammatory, thanks to its ability to interact with the body’s endocannabinoid system (a network of receptors that plays a role in regulating many important functions, including pain, stress, and sleep). Studies show that CBD is so effective at this that it can even bring relief to people with arthritis and other chronic conditions. It’s also shown promise for relief from pain and anxiety, among other things. However, serious questions remain about the ability of products like topicals to actually work. In this case, it’s because the CBD might not be able to penetrate deep enough into the muscles to have any real impact — essentially, you’re just rubbing something on your skin and hoping for the placebo effect. A more general concern is that products marketed as containing a certain amount of CBD might contain much less in reality (if they contain any at all). Some experts estimate that up to 70 percent of products on the market make misleading claims in this regard. This is a major reason why many businesses in the industry are clamoring for more regulation, since CBD is still not regulated by the Food and Drug Administration (FDA). So if you’ve been thinking about grabbing a bottle or two from your local health store, do your research — but don’t worry about it messing with your performance.